This really is Horse Heaven. 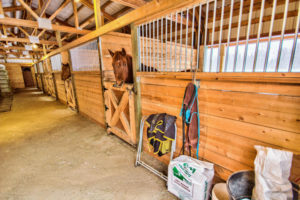 This property can board 12 horses at maximum capacity. 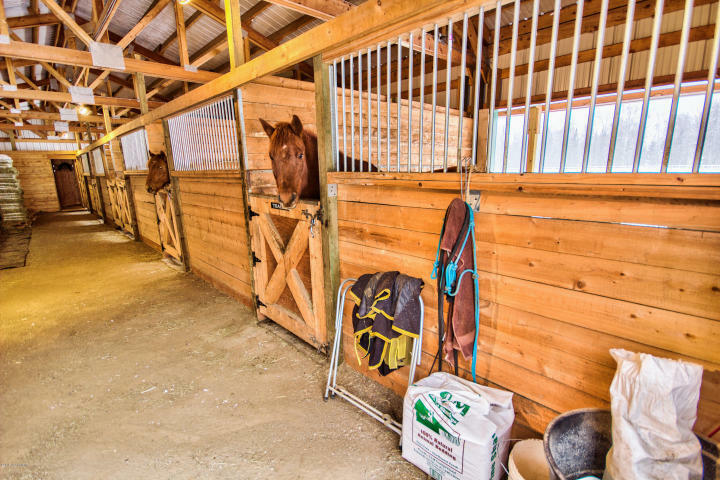 With a 2900 square foot home, indoor horse arena, and large barn it is completely set up. 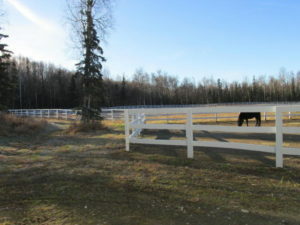 The 17 acres includes a large pasture and lots of trails in the woods on the property in addition to the house, arena, barn, garage and greenhouse. 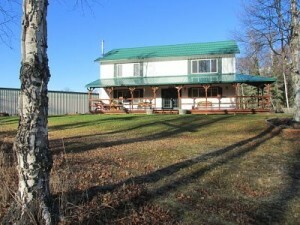 The home has in-floor radiant heat in the kitchen area and the shop and a gas fired boiler for the rest of the house. 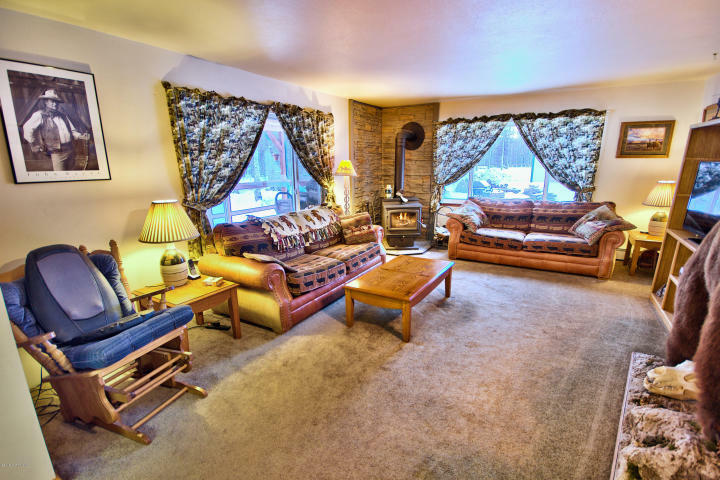 There is a nice wood stove in the living room should you want to cozy up on a cold winter day. The living room windows face south into the covered front porch. 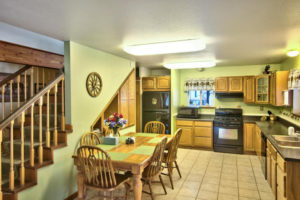 There is one bedroom on the main floor and two more bedrooms upstairs. 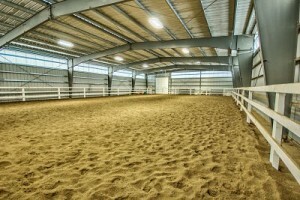 Total cost is $705,000 which you could pay for with just boarding. 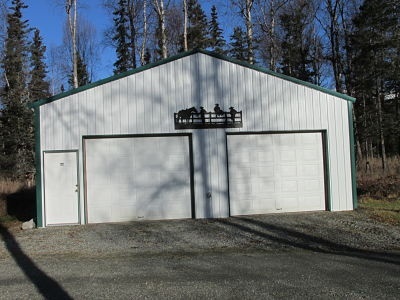 Location is 8300 Palmer-Fishhook which is close to Hatcher Pass and the Moose Range for unlimited trail riding. Or you can do horse riding lessons, trips, or even build some cabins to rent out for a horse themed vacation venue. Actually, use your imagination, this property has plenty of opportunity. Check out the photos below.